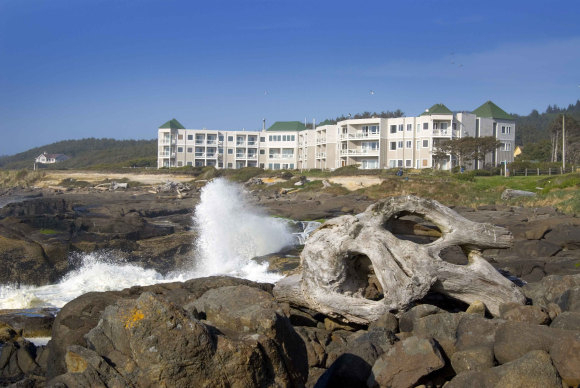 We have offered two wonderful retreats at the Overleaf Lodge in Yachats OR but due to our own travel plans in May of 2019 we were not able to schedule with them again until this weekend in May, 2020. We always look forward to this incredible ocean retreat. It has been over 12 years since we offered our first couple's retreat and have enjoyed over 250 couples in our retreats since that time. We invite you to join us for a weekend like no other, as you explore and deepen your most important relationship, find a powerfully renewed sense of connection, passion and love and discover the skills to maintain it over time. What is more important in our lives than loving and feeling loved? What is more important than to feel positively connected to the person we have chosen as our beloved? And though we often begin our relationships with that love and connection, why is it that over time we lose the power of what we knew so well in the beginning? And most importantly, how do we get it back and keep it alive? We have created a very quality weekend that helps you and your partner to develop connection and deepen in your respect, affection and closeness. Our retreat fosters greater presence and increased acceptance within your relationship and helps couples really talk to one another, giving needed time to the nurturing of your relationship. With processes, honed over time, we help you and your partner find what we call your Undefended Heart. We teach you simple but powerful practices to take home and continue the connection. Through this weekend we connect, share, romance, love, and discover the depth and truth of our hearts. We also believe in the power of laughter so we always have a really good time! With great compassion and deep acceptance we look, together, at what in our lives and within our minds keeps us from having the loving connection that we long for. We learn to take complete responsibility for our part in the relational dynamic and learn essential skills to dissolve it. Skills such as facing and releasing the criticisms and judgments of our partner that divides us and the power of presence to help us understand and accept what is within our own mind and heart and that of our beloved. We explore and learn the tools and practices to maintain the qualities of love and connection over the life of your relationship. We offered our first couple's retreat at the Overleaf Lodge in June of 2016. We are very excited to return to this beautiful venue. The Pacific Ocean right out the door and last year several couples saw whales close to shore. We offered our first retreat at the Wayfarer Resort in February of 2006. We LOVE this work and we bring to each retreat our 34 years of relationship and therapeutic experience. We know how to help couples find deepening love and connection and to rekindle that spark that brought them together in the first place. We know how to help people create relationships that will give them tremendous happiness for many years. Why? Because absolutely everything we teach, we have worked within our own relationship so we know the benefits. We keep our retreats small so that each couple can feel more comfortable and also have the benefit of our time and attention. 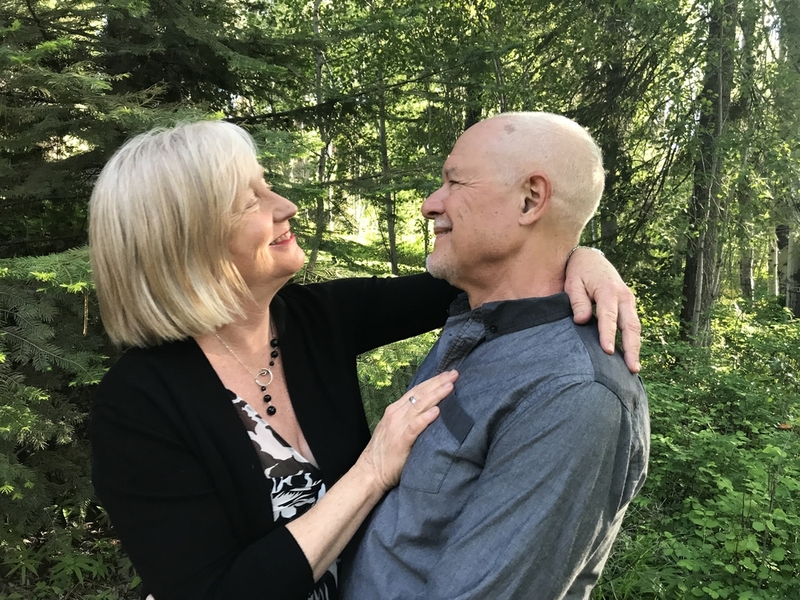 Our number one goal in the retreat is to help couples release the defenses of the heart and to find that place of loving connection which arises from non-judgment, openness and true compassionate acceptance of them self and the other - just as they are. From there, so much good can happen!!! A few words to men: We also recognize that men and women are often very different in the way they process information and emotion. We honor that difference and thus have created a male friendly retreat where men feel respected and safe. We feel particularly flattered by the awesomely positive feedback we receive from our male participants. They love the retreats and they really love the end result of feeling more acceptance and connection with their partner when they go home. They are always so thankful that they came. "The Love and Be Loved Retreat for couples is a really wonderful experience for any committed couple. I think for men especially it is very non-threatening. You won't be asked to 'spill-your-guts" in front of the group. You won't be shamed or be made to tell the darkest secrets of your relationship. For me it was a chance to tune myself and my relationship up a few notches in a great country setting with two very skilled and understanding therapists leading the way. My wife and I left feeling upbeat and ready to continue moving closer toward each other and in-tune with our shared life together. I think any couple can get a great deal out of this retreat. We did." DQ-male participant (for more male reviews see below). "This retreat was exactly what we needed. I love over-hearing my husband telling our friends how much he loved it and wishes we had done this years ago! A peace has settled over our home and our relationship/marriage. Thank you!" We invite you to join us? Retreat fee is $655 per couple - 2 night lodging fee at the Overleaf is in addition to retreat fee. Prices for rooms will be announced in Fall of 2019. 10 couples only per retreat. Saturday night dinner included in retreat fee. Click here and ask to receive an application. • Discover what it really takes to cultivate satisfaction in your relationship. • Find out what happens when you truly show up for one another. • Learn how to ask for and receive what you want from your partner. • Move from blame, criticism and withdrawal to connection and harmony. • Increase acceptance and compassion. • Discover the power of simple practices to enhance connection and intimacy. • Benefit from individual attention from facilitators (8 couples maximum). • Enjoy a Saturday night catered dinner, included in retreat fee. The Wayfarer is nestled along the beautiful McKenzie River about 30 minutes from Eugene, Oregon. Each participating couple can have their own cabin or studio or can share expenses with another couple and lodge in one of the two bedroom cabins. The weekend is self-catered, except for the Saturday night dinner (included in fee) which is catered and always consists of wonderful fresh local food. Retreat fee is $625 per couple - 2 night lodging fee at the Overleaf is in addition to retreat fee. There are rooms reserved at both the Overleaf and the Fireside Inn next door. Prices range from $95-$175/night. 8 couples only per retreat. Click here and ask for application. To be informed of future retreats click here. To forgive what is not yet forgiven. To understand that which is not yet understood. To accept what is not yet accepted. the Blessings and Goodness that always surrounds us. The Radiant Loving Couples Retreat is one that we highly recommend to any couples wanting to develop a deeper sense of love, acceptance, and understanding between themselves. It was obvious from the moment we arrived that Trinity and Louis have been working together for years on developing the best retreat they can; from the first evening and their creation of a truly open and sharing space, we knew we had chosen correctly in signing up. 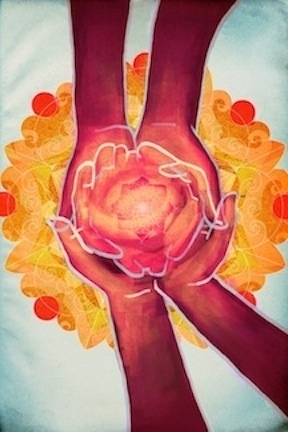 Rather than focusing on trouble, pain, and other negativity, the Radiant Loving Retreat is centered around a becoming better individuals within the relationship, around presence, and around practices that can be taken home once the weekend is over and used as part of a daily regime to continue building (or repairing) communication channels and love between each other. Some pictures from past retreats!